Easy-to-use online tool that is great for both direct instruction and independent station work. Visuwords is free and requires no login or registration. Great for visual learners, it shows more than a definition--it shows the relationships between words and word families. Watch my brief introduction to Visuwords at http://screencast.com/t/mJ95faKTa. I love this YouTube video from 21st Century Classrooms showing what one 7th grade Science teacher does with his students. Note the usage of the Web 2.0 tool Symbaloo, which is the application you see in the screen shot below. Happy viewing. Bitly is a great organizational tool for teachers, allowing you to create bookmarks of URLs in the cloud, and also allowing you to shorten and customize URLs. View my brief introduction to Bitly at http://screencast.com/t/B1MdD8WV4x1. During my presentation on Web tools for teachers, I mentioned some sites for which I was not able to include a video tutorial. But here is a quick summary, just so you don't forget! 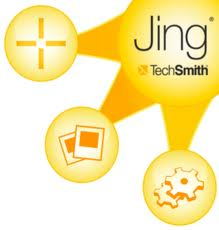 Jing--a free tool offered by Techsmith, the same company that sells SnagIt and Camtasia Studio. This allows you to record screencasts up to 5 minutes in length. You can save your screencast to your computer, or publish the video for free at screencast.com. If you take that route, you will have a URL you can post to your Web site or to any document (to save space on your hard drive). You do have to download Jing onto your computer, but it does not take up much space. 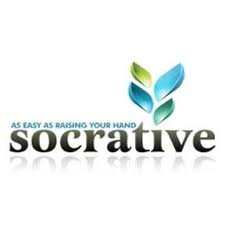 Socrative--a free interactive tool to engage students in a whole-class or small-group setting. Teacher must provide sample questions either orally or on a separate screen/document, but students can offer short answer or multiple-choice responses, which appear in real-time on your screen. Data can be presented in the form of a chart, or can be exported to an Excel document. This would be a great tool to use for test review, or as an exit slip. It can be downloaded onto mobile devices as well. Wallwisher--an interactive space that allows students to collaborate in real time. Great for group projects. 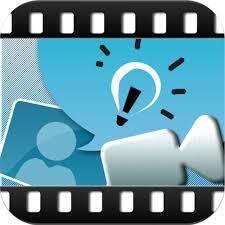 Photos, video, links can be embedded. Teacher can moderate content. Xtranormal--a text-to-speech program in which you can create cartoon movies with your own customized script. This is not free, but there are affordable options for teachers to purchase monthly subscriptions (with options to add student accounts) or "pay as you go." To watch one of my Xtranormal projects, visit http://www.youtube.com/watch?v=YGNtXZTgASg. Tagxedo takes a piece of text and turns it into a beautiful piece of word art. The site is free, user-friendly, and does not even require an e-mail address to use. Copy and paste text, and then customize your word art in a matter of minutes. This is a great application to use for studying main ideas and key words, or to spark a discussion with your class. Once your word cloud has been created, you have the option to embed it into your web site, print it, or save it as a jpeg. I find this application to be more reliable than its more well-known counterpart, Wordle. For a brief tutorial on Tagxedo, watch http://screencast.com/t/8yVRyfo4. 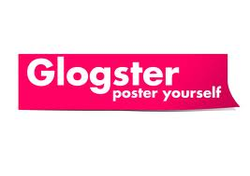 If you don't want (or need) to go to the trouble of creating an entire Web site, Glogster is a Web 2.0 application in which teachers and students can create posters "in the cloud." No school supplies needed! Insert photos, videos, audio files, and text. Use templates, or create your own design. The app is FREE and can be accessed with an e-mail account. View my brief tutorial at http://screencast.com/t/7n1aJgf8QK. Piktochart is a FREE web-based application in which students can create infographics. The ability for students to create charts and graphs, as well as to design their own custom graphics to communicate is a great way for them to publish research data (and thus makes it a great tool for Math and Science teachers). You need an e-mail address to register. To view a tutorial on the basic features of Piktochart, go to http://screencast.com/t/5bHYCOTxwT. Kelly Coleman is the LRC Director of Whittier Elementary in Downers Grove District 58. She has a M.S. in Journalism from the University of Illinois, and a M.Ed. in Teacher Leadership from Elmhurst College. She is a National Board Certified Teacher in Early Adolescent Literacy. 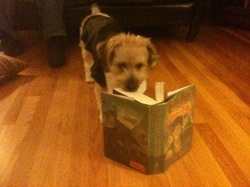 Most recently, Ms. Coleman completed her endorsement in School Library Media through Illinois State University.